Brad Paisley to Perform at the Wildhorse Saloon on Sunday, June 4th! 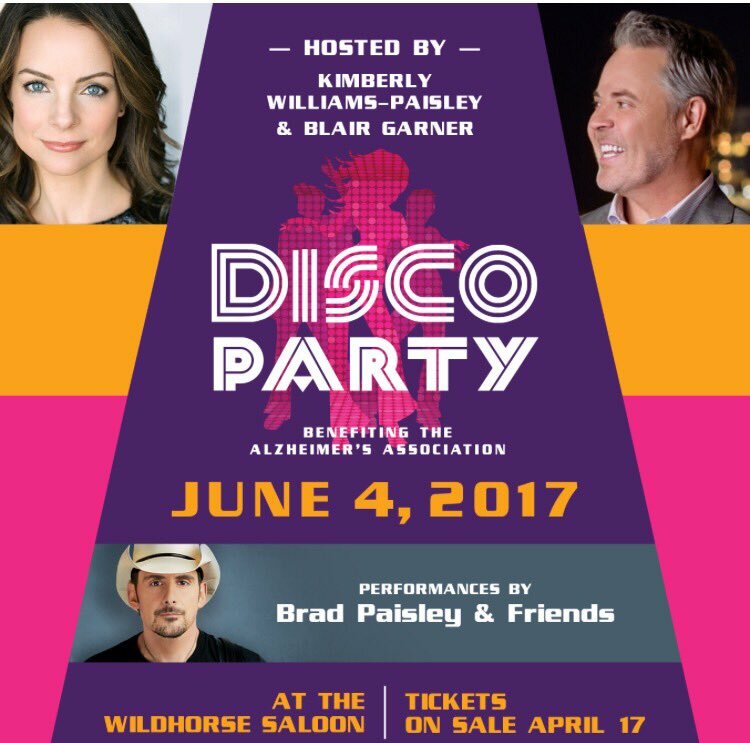 Kimberly Williams-Paisley & Blair Garner will kick-off the 2017 CMA Music Festival week at the Wildhorse Saloon with the Disco Party to end ALZ featuring performances by Brad Paisley & Friends on Sunday, June 4, 2017 at 6 PM! Taking a new twist to fight Alzheimer's disease, Kimberly-Williams Paisley and Blair Garner will host the 1st Annual Disco Party with performances by Brad Paisley and top country artists performing hits from the 70s or 80s. More information including the seating chart and ticket information can be found at the Wildhorse Saloon's Website here.